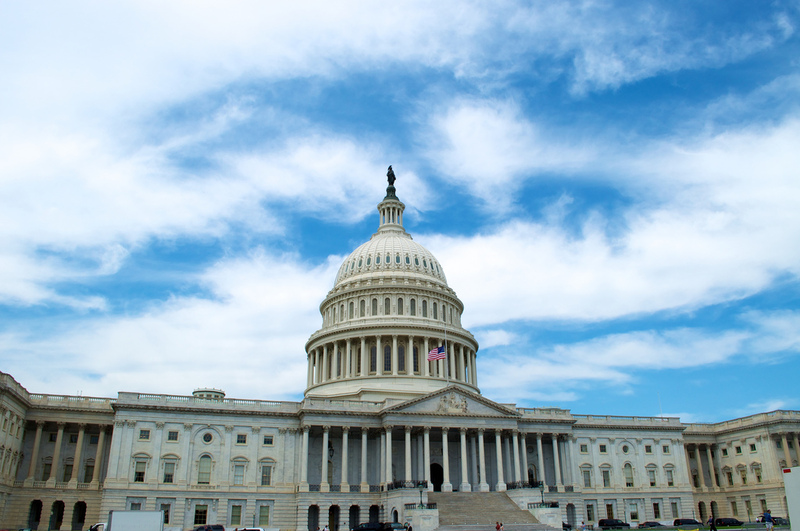 There are a lot of proposed laws out there, making their way through–or stalling out in–the House and Senate. And a common refrain from concerned parties is for everyone to “Call your representatives about this issue!” But to some people, that’s a daunting task. Say you’re good and riled up about something. Great! There’s a bill on the Hill near and dear to your heart and you really want it either to get votes, or to go away. You’re burning with a passion to let your elected representatives know how you feel about it, and to ask them to vote a certain way on the issue. Fantastic! But who should you contact, and how? No matter which of the 50 states you live in (sorry, DC), you’ve got a member of the House of Representatives and two Senators in the Capitol to represent you. While the tide of public opinion in general does in some way influence members of Congress, the only opinions they actually tally up are those of their constituents: the people who can either re-elect them or get them ousted. So it’s important to find the rep related to where you actually live. Luckily, the House does make this one easy: in addition to a full directory, they have a Find Your Representative page. There’s also a permanent box on the top bar of the whole site where you can find your representative as well. Most ZIP codes only have one possible representative, and so you’ll see your representative’s name, profile photo, and link to their website appear on the left. That website link is the crucial element you’re looking for. Some ZIP codes overlap multiple Congressional districts. If yours does, the site will prompt you to clarify, either by providing your ZIP +4 or by providing your street address. Once you’ve narrowed down your address, the site will tell you who your Congressional representative is. And again, that website link is the item you’re looking for. Finding your Senators is easier, because they work at a state level rather than at a district one. 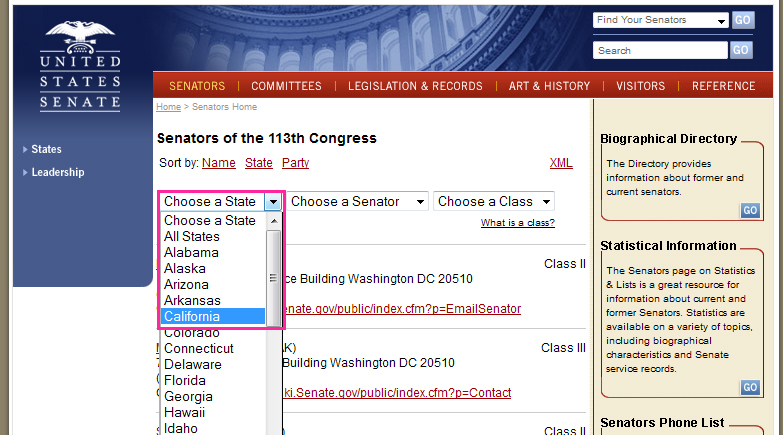 The Senate’s website has a full list of all 100 Senators that can be sorted by state, by name, or by political party. To make your search shorter, you can also select your state directly. The search returns your Senators’ names, DC office addresses, DC office phone numbers, and website links. Once again, that website link is probably the part you are most going to want to remember. Every elected official’s website is a little bit different, but they all have a “Contact” option on them somewhere. Those Contact pages all have on them a link to a web form/e-mail contact option, at least one mailing address, and at least one phone number. Sometimes the form is on top, and the address at the bottom; sometimes there’s a page of options. No matter the layout, the contact info is on there somewhere. So now you know exactly who the three people elected to represent your interests in government are, and how to reach them. Now what? You don’t have to like or agree with the politicians who represent you. It’s okay to have a whole set of insults for them running through your brain. But if you are going to reach out to their offices, you do need to be civil. An unhinged screed will fall on deaf ears where thoughtful correspondence may be counted. What is the issue or bill? Why is it important to you–why would a certain outcome help or hurt? What would you like the person you’re contacting to do about it? Short and simple is best. You don’t need to get wordy or flowery; your whole letter will likely be just a handful of sentences (or about thirty seconds, if you call). If you’re not sure how to phrase your concerns, any major issue with media and activist attention on it will have lots of easy-to-Google sample templates online you can customize. And don’t stress about forms of address: “Dear Representative _____” and “Dear Senator _____” are both fine. I am writing to urge you to vote [yes or no] on S. 9999, the Fictitious Act of 2014. The fictitious issue is important to [group of people like you] because [reasons]. If it [does or doesn’t] become law, [positive or negative consequences]. There are three ways you can tell your politicians your concerns: actual paper letters, phone calls, or digital letters–either through e-mail or, more typically, through a web form. Someone in the office of each Representative and Senator keeps track of the correspondence their boss receives, so any of the three methods of communication will create a tick in the appropriate column. That said, conventional wisdom still holds that snail mail is the most likely to be taken seriously, so if you have the time that can be the best way to go. On the other hand, if you want to reach someone about an urgent issue–say, a bill that’s coming up for vote in the next 48 hours–calling is obviously going to be the fastest way to be heard. If you use a web form, be prepared to fill in your name, address, and e-mail address, and to select the rough category of the issue you’re writing about from a list of broad options. If you’re sending a paper letter, make sure to include not only your full name but also your street address. If you’re unsure where to send your mail (state capital or home district location vs. Capitol Hill), just use their Washington, DC office address. The Senate website also has a brief guide for sending postal mail to senators. And that’s it! Short, simple, easy. If you’re calling, make sure you think through what you’re going to say first, so you don’t have a brain fart when someone picks up the phone. If you’re writing, don’t forget to proofread before you send. In the immediate term, there’s not much more you can do after that. The folks in the House and Senate will cast their votes, and it may or may not go the way you hoped. Someone in the office you contacted will probably send you a form letter (or e-mail), and it may or may not accurately connect to the message you sent them. In the longer term, though, always remember: if it’s an even-numbered year, there’s an election. If you like the way your representative or senator handled something, you can vote to keep them in office. And if you don’t, you can support someone else. So don’t just write to your politicians; make sure you vote, too.